jahan, F., mehrafzoon, D. (2019). Effectiveness of Pygmalion Effect-based Education of Teachers on the Students’ Self-efficacy and Academic Engagement. Iranian journal of Learning and Memory, 1(4), 1-1.
faezeh jahan; dariush mehrafzoon. "Effectiveness of Pygmalion Effect-based Education of Teachers on the Students’ Self-efficacy and Academic Engagement". 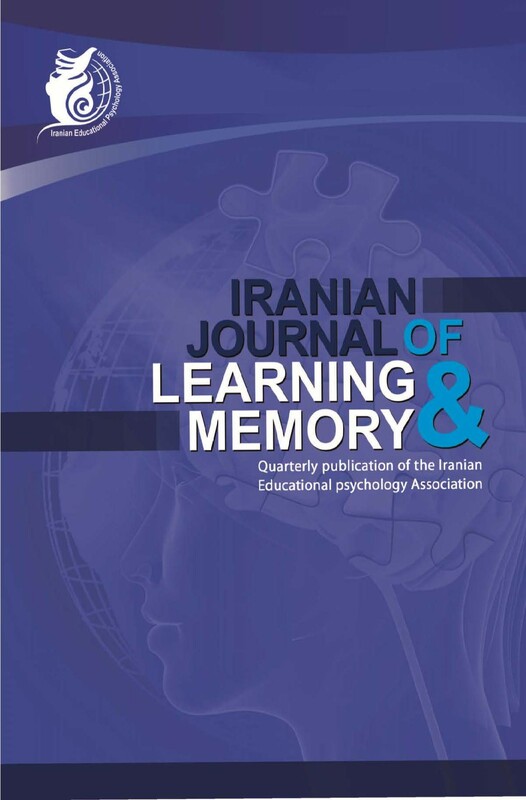 Iranian journal of Learning and Memory, 1, 4, 2019, 1-1.
jahan, F., mehrafzoon, D. (2019). 'Effectiveness of Pygmalion Effect-based Education of Teachers on the Students’ Self-efficacy and Academic Engagement', Iranian journal of Learning and Memory, 1(4), pp. 1-1.
jahan, F., mehrafzoon, D. Effectiveness of Pygmalion Effect-based Education of Teachers on the Students’ Self-efficacy and Academic Engagement. Iranian journal of Learning and Memory, 2019; 1(4): 1-1. 1استادیار گروه روان شناسی، واحد سمنان، دانشگاه آزاد اسلامی، سمنان، ایران.